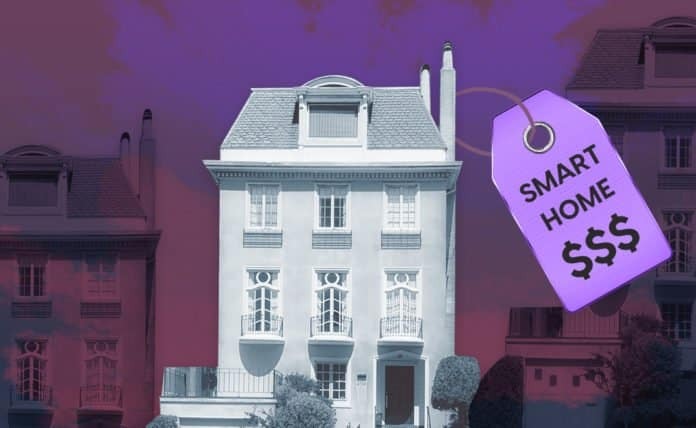 The smart home market needs to find ways to spike adoption and to assuage the many concerns consumers now have about smart homes. Consumers expect the marketplace to integrate disparate devices into a unified system, but recent research shows there are some barriers impacting the adoption of smart homes, such as cost, security and interoperability. In the last few years, the smart home has been built up as a kind of domestic nirvana. Consumers simply need to purchase multiple smart devices, such as televisions or appliances, and, presto!—they all work together to create a personalized and ultra-connected home. Recent research shows four major barriers impacting the adoption of smart homes. Let’s take a closer look at each. The cost of a home automation system typically ranges from $404 to $1,830, with a national average of $1,045, according to HomeAdvisor. That’s just for starters. Consumers also need to purchase specific smart home devices, most commonly beginning with smart appliances (25%) and smart thermostats (24 percent), according to Assurant. Taken together, the cost of smart devices and professional installations can quickly become prohibitively expensive for a median U.S. household income just under $60,000. To mitigate the overall costs associated with the smart home, consumers need flexible financing solutions, including equipment installment plans and leasing options, to enable them to build and support the smart home of their dreams. Consumers also need alternatives to paying for the entire system upfront, which will be crucial for market development. The second barrier entails privacy, hacking and cybersecurity. Though still infrequent, cases of hacking home systems are negatively impacting purchase intent. Indeed, nearly half of the consumers in our recent smart home research responded that hearing about hacks and breaches makes them less likely to buy connected devices. What’s more, devices still in their early years of development, like smart speakers, have received negative reports in the media regarding listening and tracking, which are raising concerns and giving consumers pause. To increase the adoption rate and to provide consumers with assurances that a smart home does not mean a vulnerable one, the market will have to ramp up the number of products related to digital identity protection, data management and privacy. The third barrier has to do with compatibility and interoperability. Nearly 75 percent of consumers planning to buy smart home devices value interoperability with other products in their home, according to a report released earlier this year by the international firm Parks Associates. The report added that, while 32 percent of U.S. broadband households own at least one connected device, a third of consumers only use individual apps for discrete devices and do not have an app that controls multiple products. In other words, how can smart devices that are purchased based on a wide range of individual needs, costs and brand attraction work together in harmony? Additionally, what should be the centerpiece of the smart home system? Amazon Echo? Google Home? Siri? The increase in harmonization allows great cross-integration and interoperability, at least on paper. Companies need to provide services assisting consumers with installation and management to optimize the functionalities of each device. It’s critical for smart home players to recognize that consumers also tend to be cautious when purchasing smart devices because of concerns that they’re buying something that will soon become antiquated. Consequently, tailored upgrades, trade-in services and/or financing solutions are crucial in facilitating smart home adoption. Consumers expect the marketplace to integrate all these disparate devices into a unified—and user-friendly—system. Future developments will spur a wide array of new services that will contribute to smart home market growth. The market first needs to find ways to spike smart home adoption and assuage the many concerns consumers now have about smart homes. Only then can the “magical” smart home become a reality. Written by Ryan Lumsden, Senior Vice President, Connected Home, Assurant.